Our service is open to all adults who wish to have a free Hearing Test and the 1st appointment is FREE of charge.We also carry out a full Puretone Test of your hearing and will discuss the results of the assessment with you straight away during that first appointment.During initial consultation, we will offer some advice on what your next steps may be.We can also assist clients with problems with their current hearing aids including offering a quality repair service to help provide an immediate solution and instantly improve your quality of life to help you ‘Enjoy Hearing Again’. Ear Wax Removal using Micro Suction or Irrigation. Hearing Aid Fitting, Programming and Repairs to all models. Custom-made, top quality Ear Moulds for Swimmers, Industrial Protection, Musicians and Operated ears. A comprehensive aftercare service for you and your hearing aids, making sure you Enjoy Hearing Again. Grants are available from the Dept. of Social Protection to eligible persons. We will submit your application for you, and arrange the necessary forms. Also income tax relief available under the MED 1 scheme for medical appliances. The hearing test will be performed on both ears. During the test, you will be exposed to sounds at various volumes and frequencies. You listen to the sounds through a headset and respond when you hear them by pushing a button. Another test using a Tympanometer can also be done. Tympanometry measures the movement of the eardrum and the level of pressure behind it. Your audiologist will talk you through all stages of the hearing test. A Bone Conduction Test is carried out as part of a hearing test. Bone conduction measures how well your inner ear and hearing nerves are working. The vibrations from the vibrating probe go straight to the hearing nerve and bypass any problems in the ear canal, eardrum or hearing bones. Your audiologist at O’Grady’s will inform you if you require a Bone Conduction test and how to participate in this test. 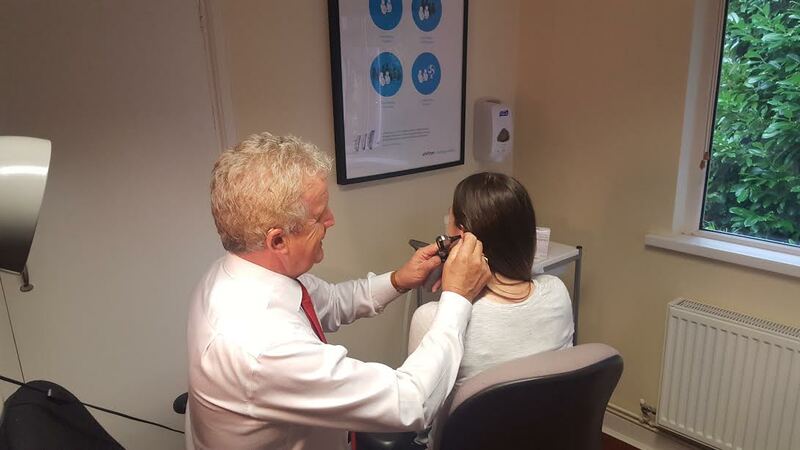 Your hearing test result will be plotted onto an audiogram showing your test results for both ears. An audiogram can also make it easier to determine what type of hearing loss you have. The type of hearing loss you have is important because it determines what help or treatment is most suitable for you. Your audiologist will also discuss any relevant points that come up in the discussion about your symptoms and from the visual examination. Technology continues to improve with the latest technology from world leading manufacturers like Siemens / Signia, Unitron, Phonak, Gn Resound and Widex. Hearing loss has now become more noticeable than a hearing aid! As an independent hearing practice, with over 30 years experience in the hearing industry, O’Grady’s Hearing Care have the ability to deal with All the Leading manufacturers. This allows us to choose the most suitable products for your hearing needs from any manufacturer and supply them through our practice.Improve your hearing and your quality of life by visiting us today!